An international orientation is in the genetic code of CMM. From the very beginning our congregation was operating internationally. In fact, even earlier than that: the first brothers received their formation abroad, namely at the Capuchin monastery at Meersel-Dreef and with the Brothers of the Christian Schools at Malonne, both in Belgium. Bishop Zwijsen’s vision stretched out beyond borders, which turned out to be very useful indeed when he was working on the foundation and expansion of his sister and brother congregations. He followed the model that originally came from France, the sister and brother confraternities of Vincent de Paul. 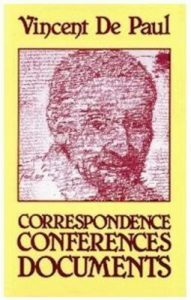 He made sure he obtained the right information regarding the most recent religious developments in Flanders, especially concerning the Brothers of Charity in Gent and the Priests of the Sacred Heart in Louvain. Thus, the ideas which he made concrete in Tilburg were going beyond the local vision and followed a European trend. It is not surprising that Zwijsen soon went abroad to start new foundations. The very first new foundation of CMM took place in 1851 at Maaseik (Belgium), while the Sisters SCMM in that same time span also started communities in Belgium, England and Ireland. The option to go beyond their own borders was not inspired solely by missionary thoughts, but also by political considerations. Everywhere in Western Europe there was a rather hostile attitude towards religious. This made their continued existence uncertain for a few decennia. Since Zwijsen had reason to question the tolerance within the Netherlands, he wanted to create some houses in other countries to which his sisters and brothers CMM eventually could move to. 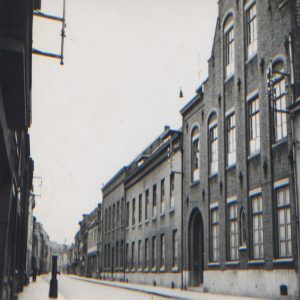 The political situation gradually improved and Zwijsen’s sister and brother congregations never had to flee from the Netherlands and Belgium. But it was only towards the end of the 19th century that the atmosphere of hostility and insecurity would be completely over. The main reason for operating internationally was inspired by the needs of the people themselves. 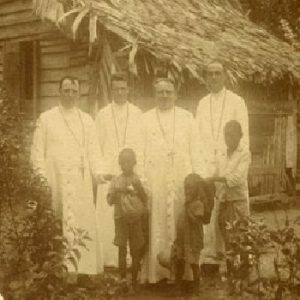 The first overseas branches of the brothers were in the West: on the Dutch Antilles and in Surinam, where the congregation started educational projects in 1886 and 1902. There were also requests to work in other countries, such as from Brazil in 1899, but that would have been way beyond the resources of the then still quite needy congregation. It did not seem sensible at this time to work in other languages and other school systems. In 1923, the first missionaries left for Indonesia. Also there Catholic education was badly needed, and the brothers could right away apply their expertise. A new wave of international expansion took place during the years after World War II. It was inspired by the mission encyclical Fidei Donum (the gift of the faith) from Pope Pius XII, in 1957. The pope asked religious from wealthier countries to cooperate with the mission of the Church in more needy countries. To make this possible, they should switch the accents of their work and hand over some tasks to others. 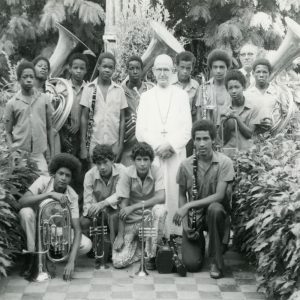 Inspired by the Bishop of Den Bosch at that time, Rinie Bekkers, who said: “The religious need to go there where the need is the greatest”, CMM decided to re-orientate their mission. The actualization of this commitment started almost immediately. In 1958 the first brothers went to Kenya and Congo, in 1959 to South West Africa (later Namibia) and in 1960 to Brazil. To support these missions, also a house was opened in California in 1963. In order to realize these foundations, CMM had to reduce its share in the educational field in the Netherlands and Belgium, and also on the Dutch Antilles. Priority was given to the education among the poorest; this apostolate was given the biblical motto: Go and teach (cf. Mt 10:7). The international spreading of brothers is the result of a combination of historical factors and invitations received by the congregation. In countries such as Indonesia and Kenya, the congregation has really taken root, in other countries it proved to be more difficult. The internationalization of the congregation was not always a success story. The first missionaries had to work very hard and deal with many setbacks in order to establish schools and communities in foreign countries. 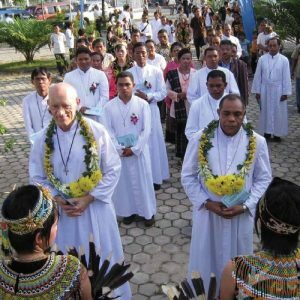 In the beginning, it was probably also underestimated what it meant to introduce religious life to another culture: the brothers realized that it was not possible to copy the exact the same way of living as in the motherland. The first noviciates with young people in these countries failed. The mission demanded much more preparation than the brothers had realized; in order to integrate well in the local culture, a vast knowledge of the country, a good knowledge of the language and a feeling of connectedness with the local culture was required. It took more than a generation before the brothers finally found a way of life that fitted in the local culture. Since the years 1980-1990 the brothers started to grow in countries such as Indonesia, Kenya and Namibia. At the moment mostly brothers from these areas themselves live and work there and only a few brothers from the Netherlands.